Live casino gambling is all about a real casino environment served to players remotely. And a big part of the offering is the gaming equipment used in the dealer rooms or casinos where the games take place – and this is particularly crucial when it comes to roulette. I mean, for blackjack and baccarat, cards are cards. You might want to know haw many decks are in the shoe and where the cut card is inserted but beyond that card colour, size, shape, stock – it just doesn’t matter that much. The roulette wheel is a different matter. Roulette spin outcomes are all about the wheel. 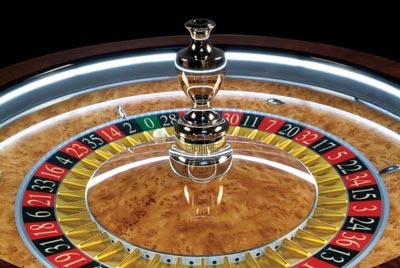 Roulette advantage players will tell you that this is a game of physics not mathematics, and wheel bias and visual ballistics techniques can give expert players a house edge – provided they can find the right wheel. 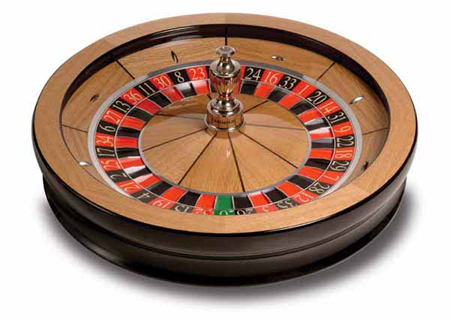 To be honest, I’m not a believer in roulette advantage play – particularly with today’s precision wheels. But for those of you that are, you probably want to know what wheels the big live casinos are using. Well, if you play at any of the Evolution Gaming casinos – and there are now lots of them, you’ll be likely playing on a Slingshot2 wheel from English manufacturer Cammegh. It’s an auto ball release wheel (an air jet launches the ball from the pocket to the track where another jet shoots it around the wheel) so no point looking for a dealer signature! If you play at any of the Vuetec casinos that take their video from Dublin’s Fitzwilliam Card Club and Casino, you’ll be playing on Mercury wheels – also from Cammegh. These are old school dealer-ball-launch wheels.